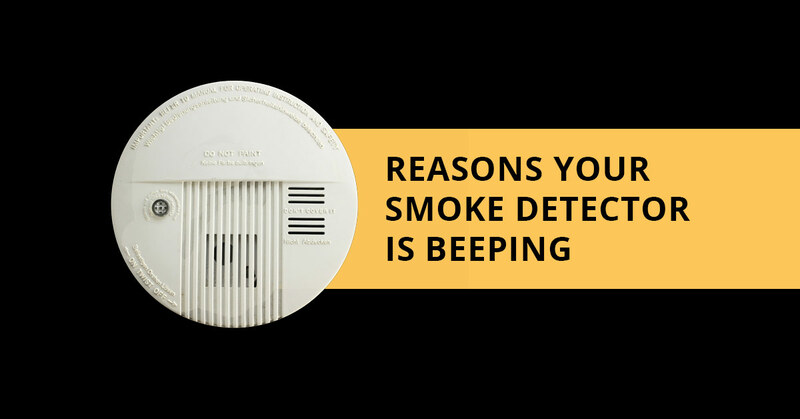 Why is Your Smoke Detector Beeping? Have you noticed that your smoke detector randomly beeps? Many of us have experienced a false alarm or two with our smoke detectors. Whether it’s because of steam from a hot shower or smoke from your burnt dinner, a false alarm can certainly be irritating. You may be tempted to simply avoid installing a smoke detector in your kitchen or bathroom, but these rooms are common places for fires to start, so that isn’t the right way to avoid false alarms. Instead, install a smart smoke detector that can easily be shut off in false alarms. Cobwebs, dust and other debris can block the sensors in your smoke detector, preventing it from working as it should. The intermittent beeping is how your smoke detector alerts you to this debris. You can use a canned air or the brush attachment on your vacuum to remove it. These are just a couple of the reasons why your smoke detector may be randomly beeping. Stay tuned for our Cincinnati electrician’s next blog to learn more.